The aim of this study is to examine the place of juvenile delinquency in post graduate theses in Turkey. In this descriptive study, post graduate theses between the years 2000-2014 were examined by the Institution of Higher Education taking “Juvenile Delinquency” and “Children and Crime” as keywords and only 48 studies were reached. Findings of the full text theses and dissertations (n=31) have been given in number and percentage. Of the post graduate theses concerning juvenile delinquency, 90.3% (n=28) were master’s theses and dissertations; there were only three doctorate theses on this topic. The majority of the studies (n=15) was carried out by the students of the Institute of Social Sciences. 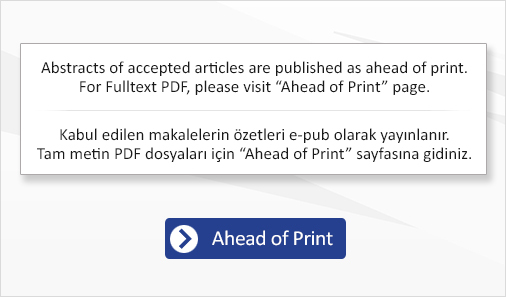 Following the first study conducted in 2006, more emphasis was put on this topic, especially in the past six years (70.9%) and it was determined that the theses were mainly from Central Anatolia and the Marmara region (44.4%). In the theses, as methods of collecting data, surveys and observations were made use of. It was concluded that the theses which were obtained were all in descriptive nature and there were no empirical studies on the subject. Also, while the master’s theses focused on the reasons of juvenile delinquency (urbanization and socio-economic factors), in the doctorate theses social reasons, child abuse and school related factors were dealt with. It is advisable to carry out master’s and particularly doctorate studies with high evidence levels in order to protect the juvenile population of our country from crime.